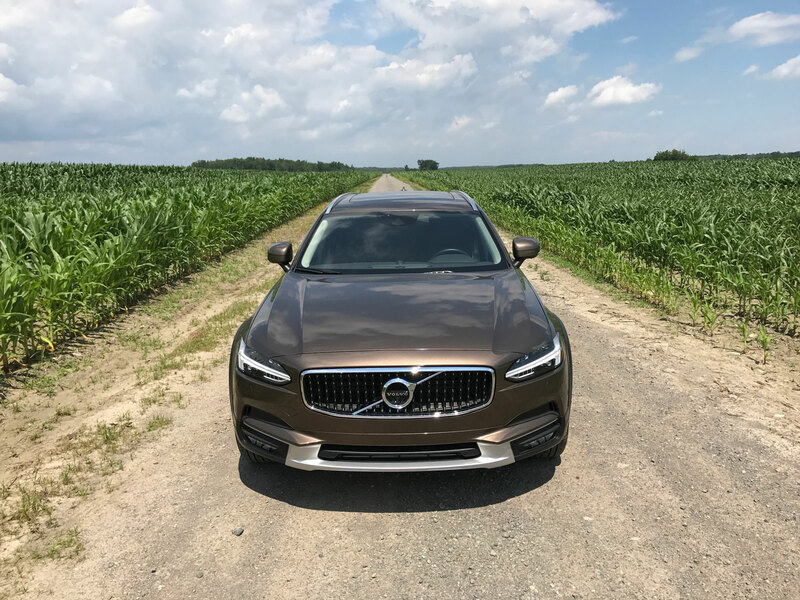 Volvo continues to push the boundaries of conventional design and there is no more striking example than the V90. 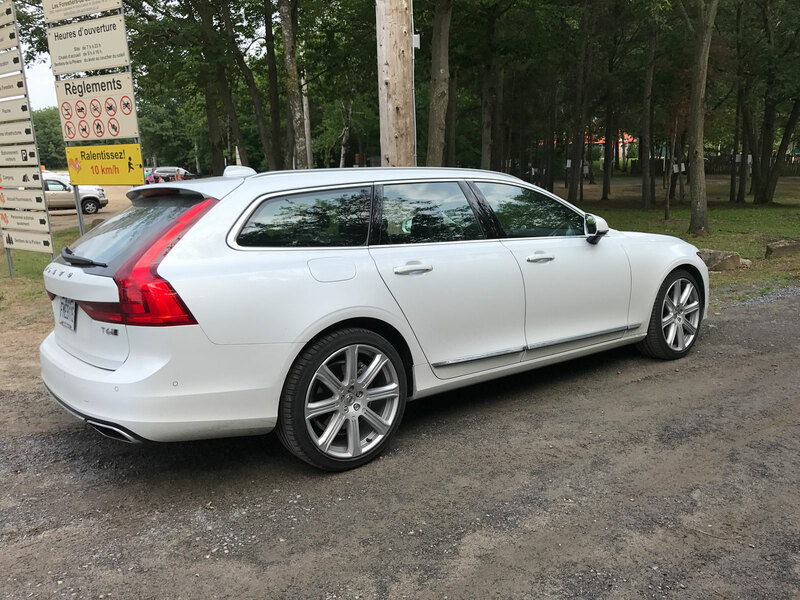 The shooting brake style wagon looks like nothing else on the road today (except the Volvo S90 sedan) and exemplifies elegance and functionality in a vehicle like never before. 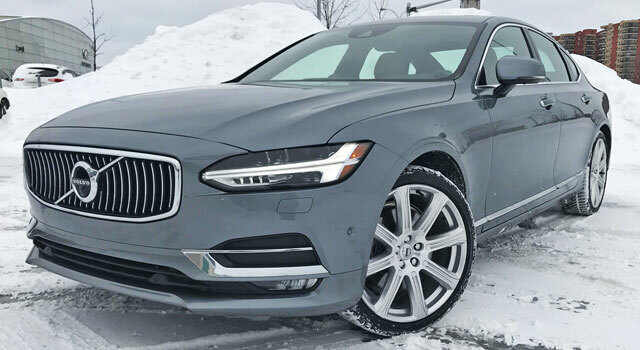 The S90 was shown to the world for the first time in early 2016 as a replacement for the aging S80 which had hung around a few too many years. 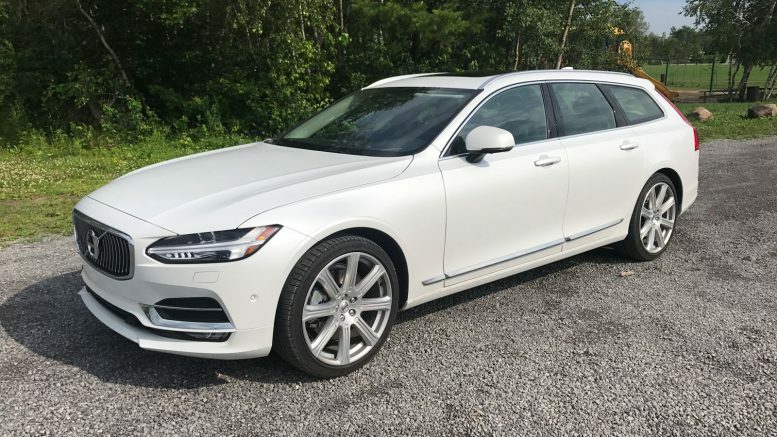 The S90 ended up winning Production Car Design of the Year which is a prestigious award decided by eighteen top car designers around the world from companies such as Bentley, Daimler, McLaren and Ferrari. 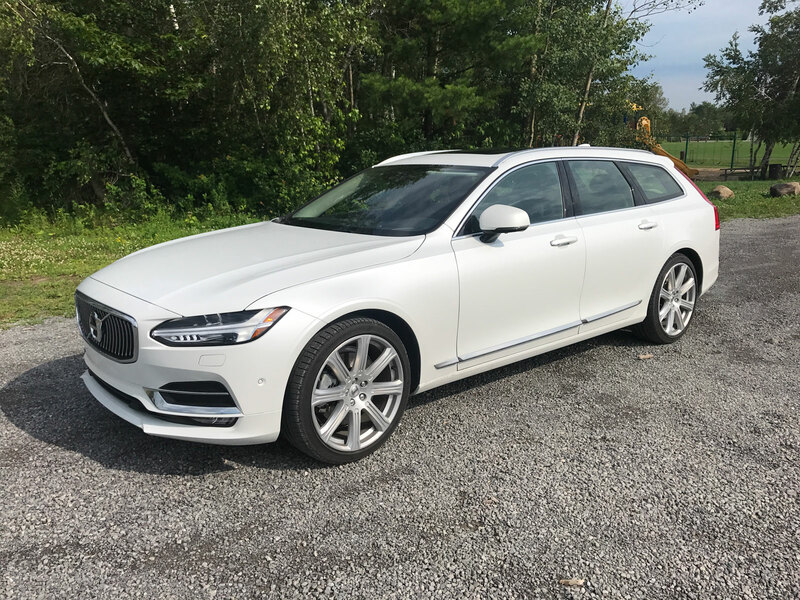 The V90 is the wagon version of that beautiful sedan. 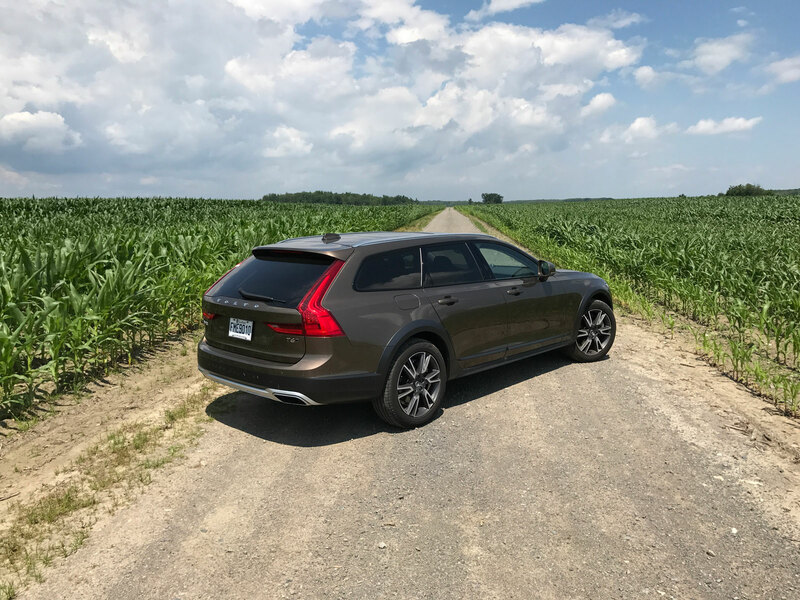 One could make the case that the wagon is even better suited to these lines than the sedan and one wouldn’t be wrong. 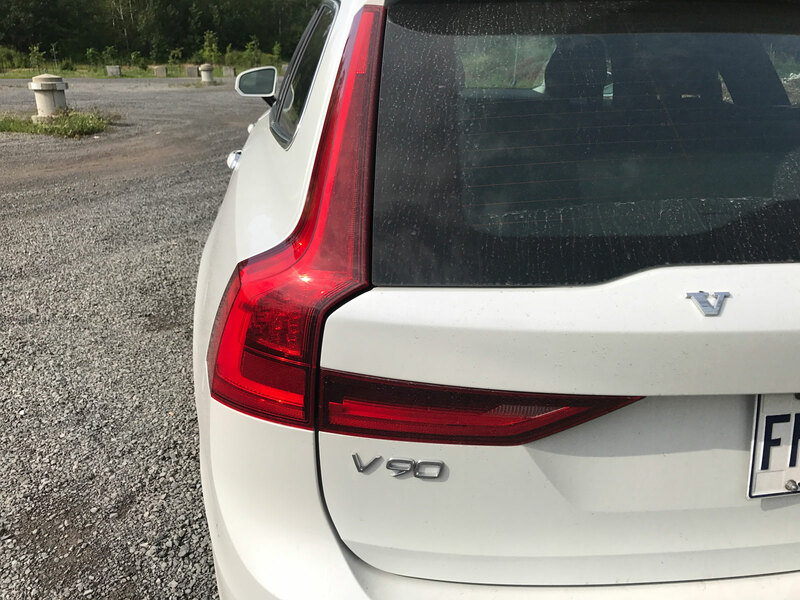 The new design language employed by Volvo is simply brilliant. Not since perhaps Cadillac in the 2000s has an automaker re-invented itself with such poise and success. 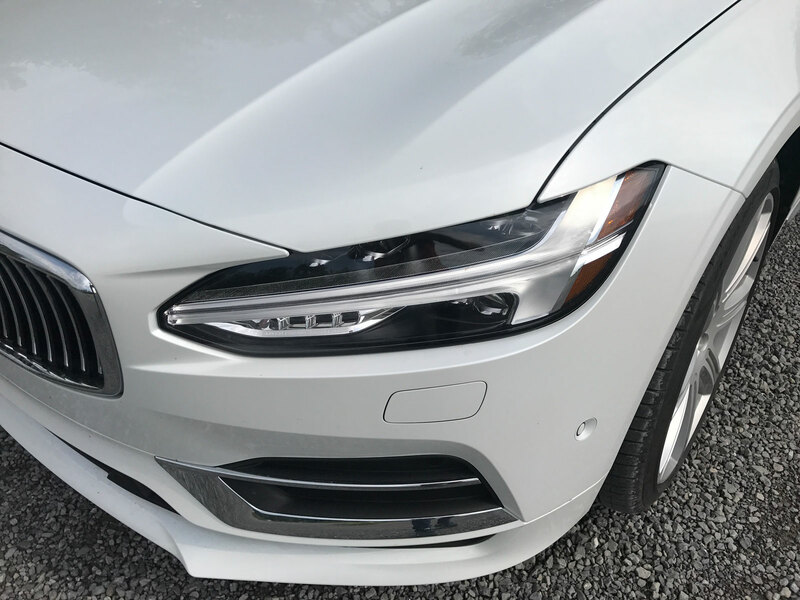 The most distinctive feature in my opinion is the “Thor’s hammer” LED daytime running lights in the shape of a sideways “T”. 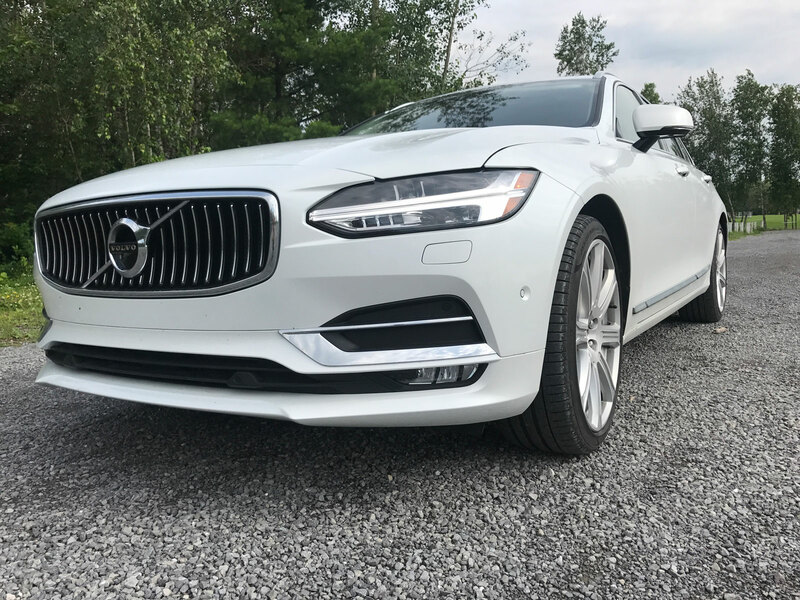 They complete the sleek and mean-looking front end that is still distinctively Volvo. The body is free of any creases or indentations, providing for a smooth and classy form. 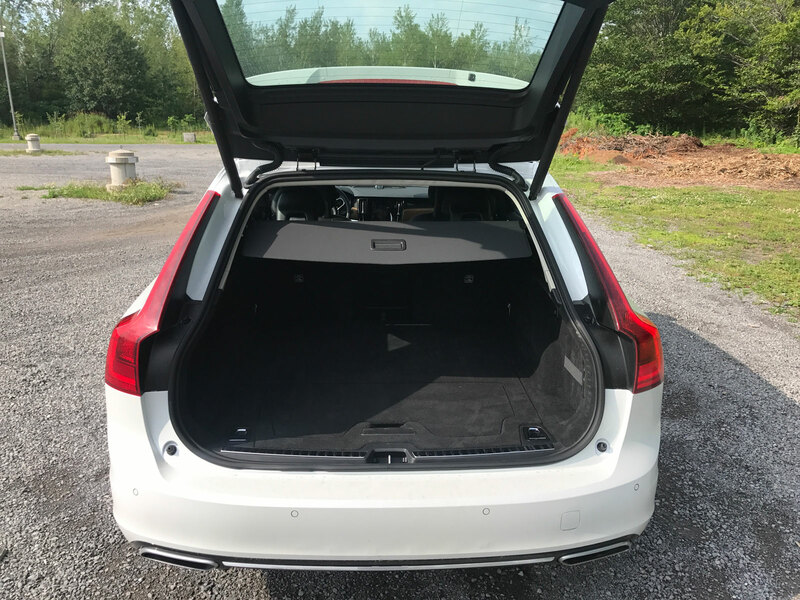 The square bracket-shaped taillight design on the sedan took some getting used to but on the wagon everything seems to fit perfectly. 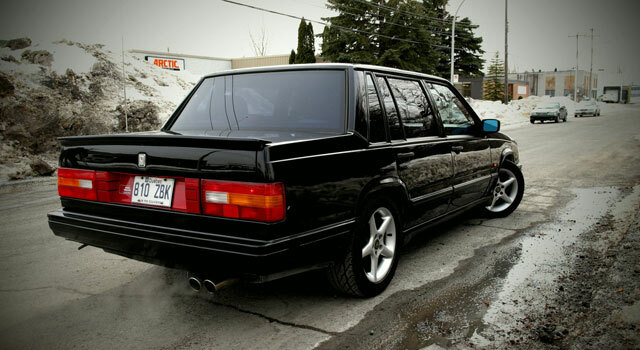 The overall size and shape is what really stands out the most and turns heads. 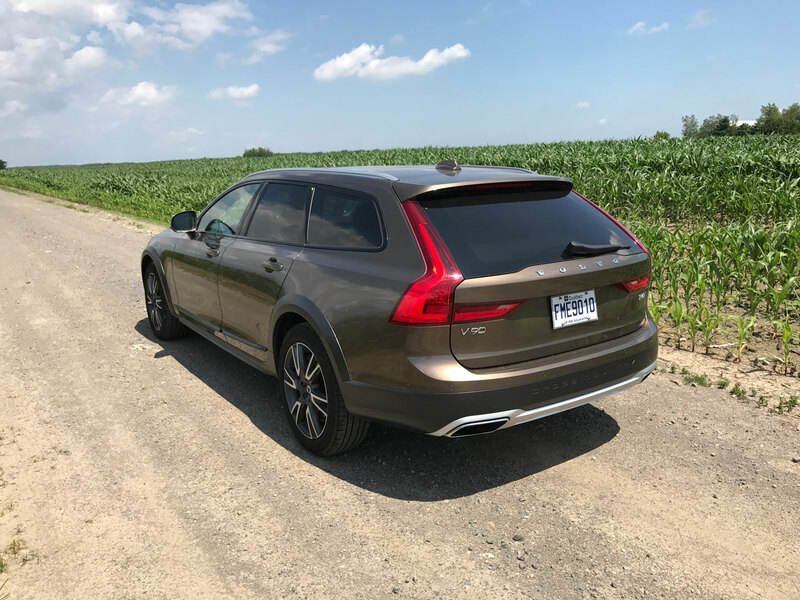 This is a long wagon and could get you into some trouble in tight supermarket parking lots but no more than any SUV would. 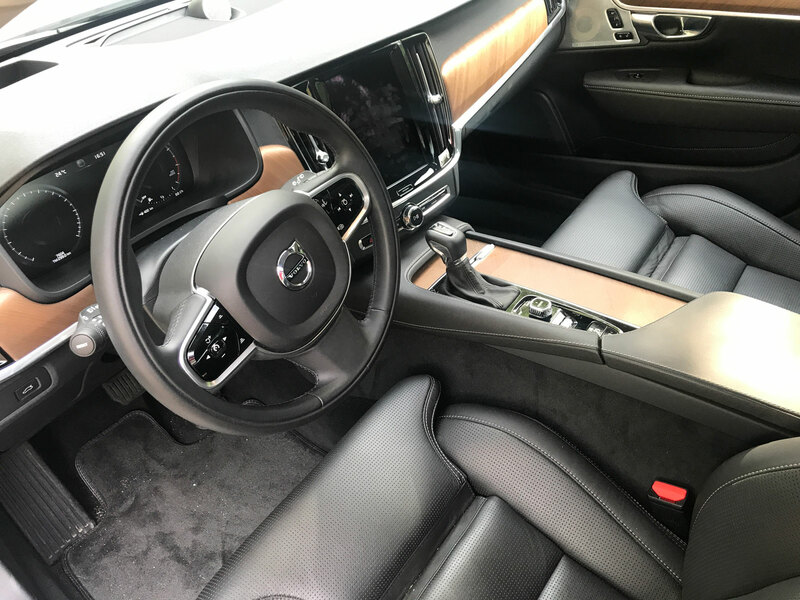 Volvo’s interior has been completely revamped and is reminiscent of something you’d find a contemporary living room. 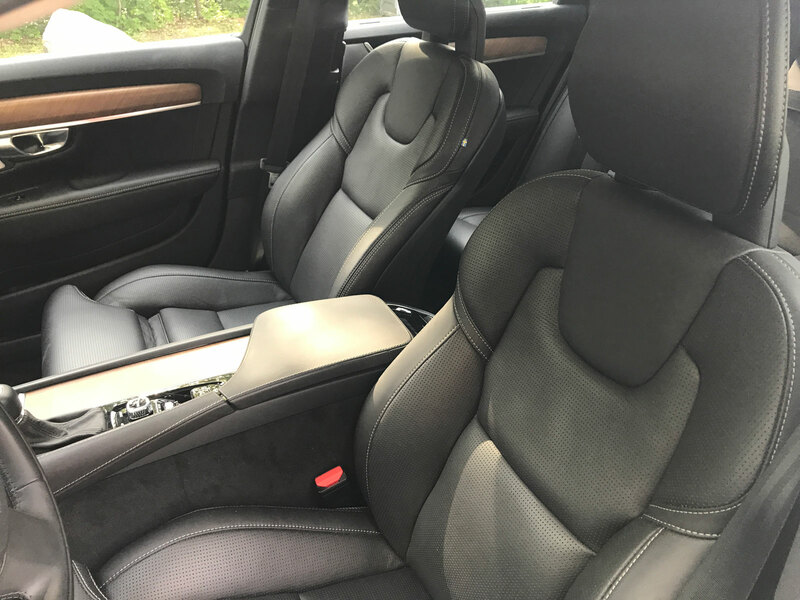 The first thing that strikes you before even sitting down is just how comfortable the seats look. They don’t disappoint and sitting in them will give you levels of comfort untouchable by any other brand. 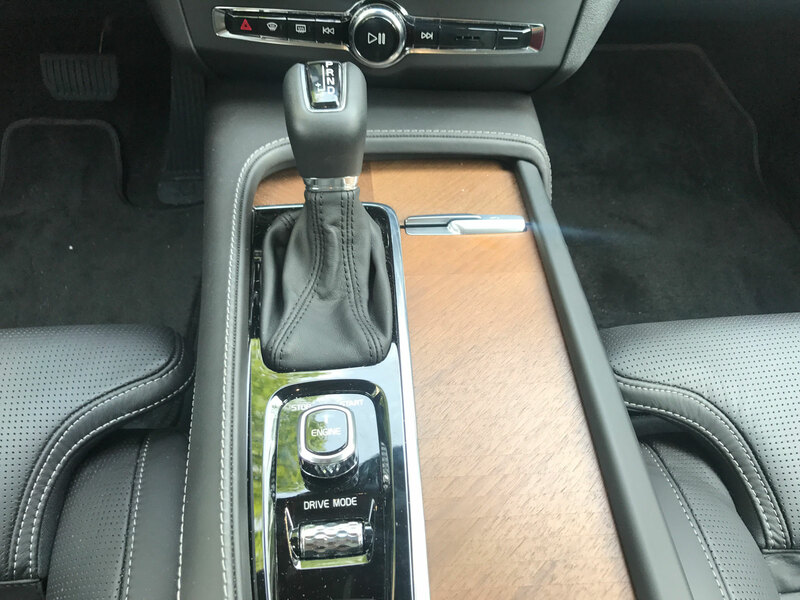 The materials Volvo has chosen for the dash and panels give a very high end look and finish. 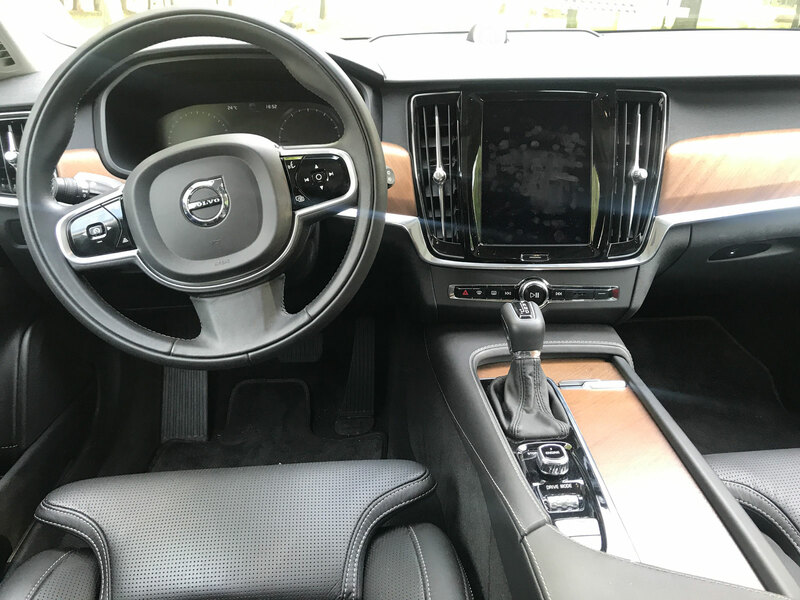 Brushed aluminum trim, wood paneling and premium leather with white stitching combine for an all-around upscale cabin feel. All buttons, switches and levers are very firm to the touch, something not a lot of manufacturers are able to produce. 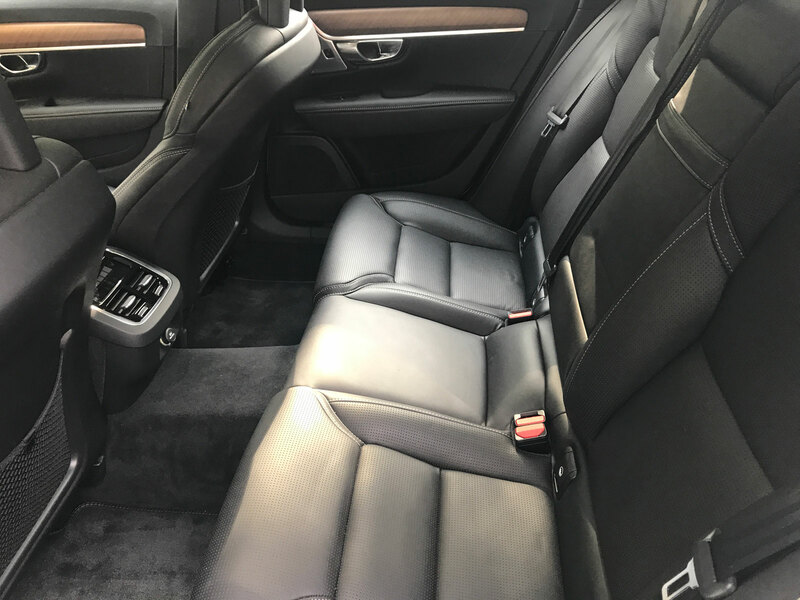 All in all, this is a spectacular cabin that rivals any of the other luxury brands. 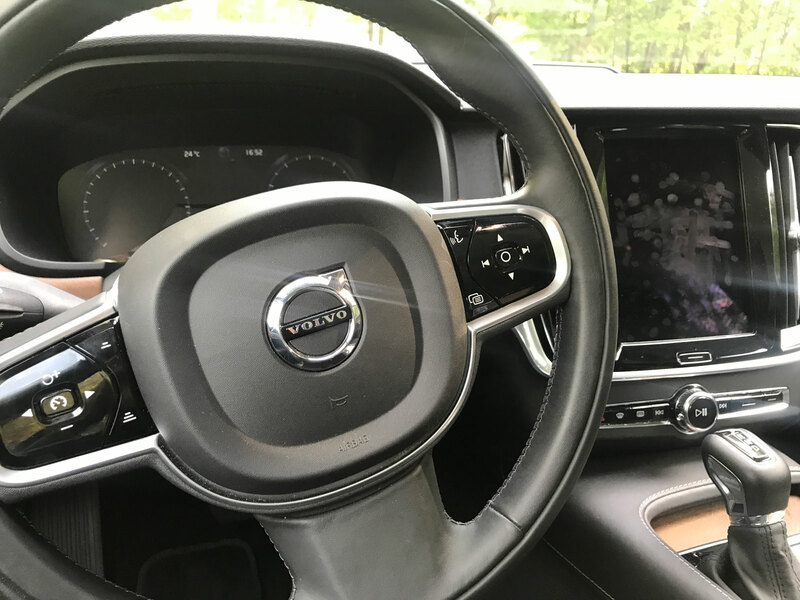 It’s not all good news, however, as Volvo has chosen the touchscreen interface for many functions and eliminated the presence of physical buttons whenever possible. In particular the climate controls require as least two taps on the screen in order to manipulate which is something I don’t find acceptable. 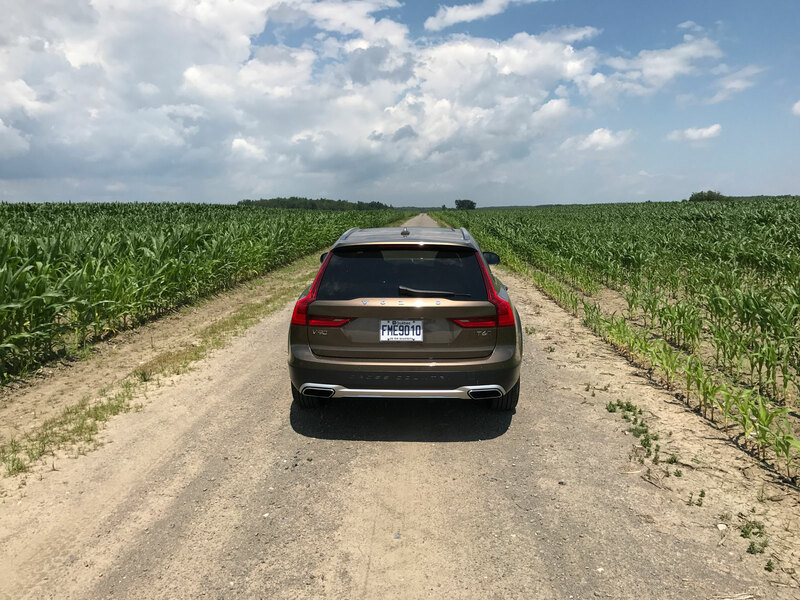 Climate is something that I tend to adjust very often and having to take my eyes off the road to tap a screen is not only frustrating but also unsafe. Furthermore the climate temperature control is seemingly always on auto meaning you set the temperature and the fan is adjusted accordingly. If I just want to blast hot or cold air, the auto function often gets in the way. 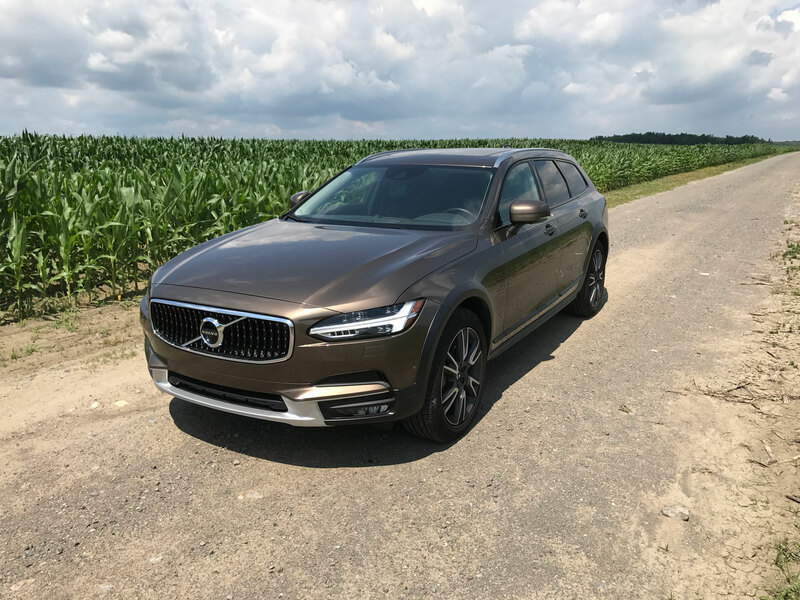 Now it’s possible I may have missed something but after testing three Volvos for three weeks I still couldn’t get a manual fan setting. 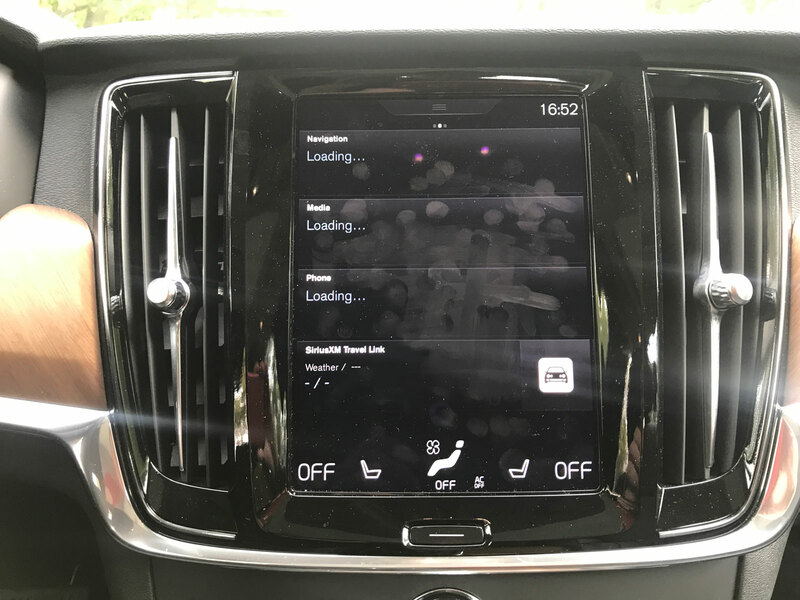 Volvo offers an hours-long course on their infotainment system but this shouldn’t ever be necessary in a vehicle. I did slowly start to the get used to the system but it’s definitely something that I would have to think long and hard about prior to purchase. The Bower & Wilkins sound system is unlike anything I’ve heard before. Sound clarity is simply phenomenal thanks in part to the open-air subwoofer and dashboard tweeter. Even AM radio sounds great and that’s nearly impossible to do. 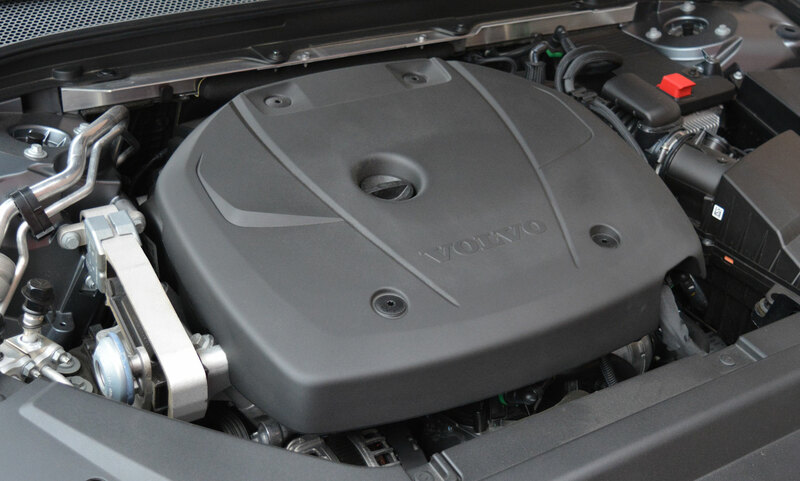 The brand new Drive-E powertrain is probably the most impressive part of the vehicle. Drive-E doesn’t mean it’s an electric car, it’s just the corporate branding they’ve given it. 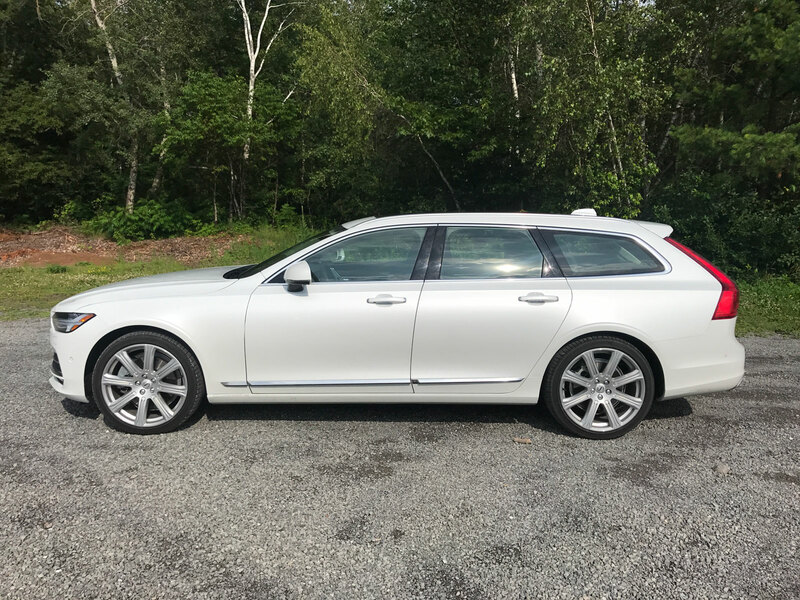 Volvo spent $11 billion USD in the past five years investing in technology and it sure as heck shows. 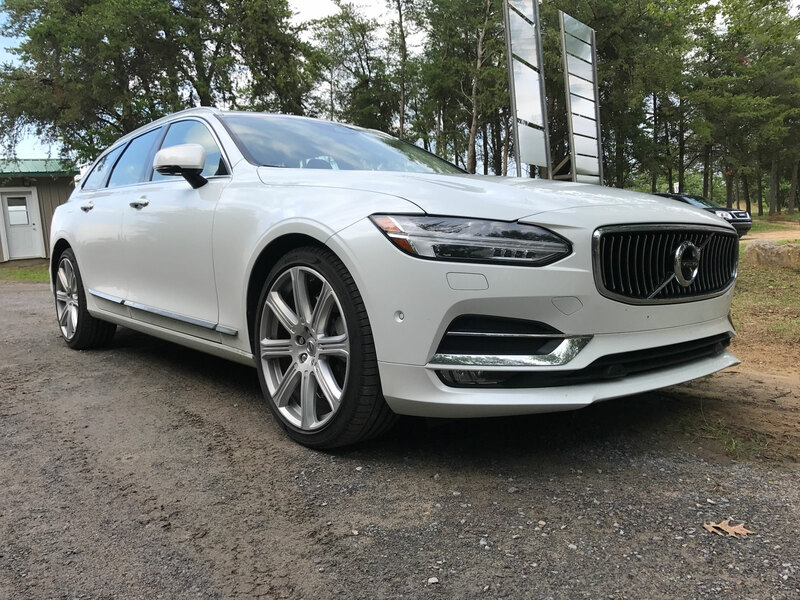 Ironically there is only a single engine option but it’s amazing: the turbocharged AND supercharged 2.0-litre inline four-cylinder. 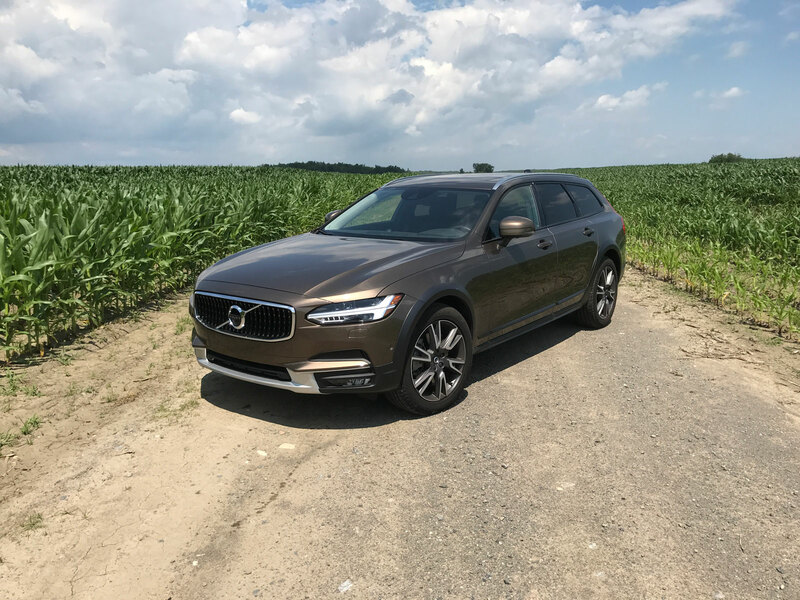 By combining these two methods, Volvo has been able to extract to extract remarkable performance – 316 horsepower & 295 lb. ft. of torque to be exact. 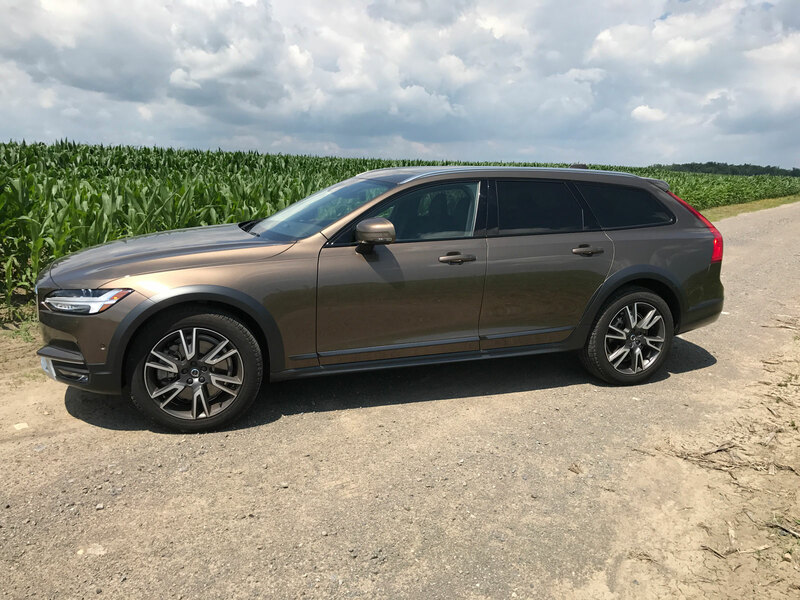 It’s quick and you don’t even realize you’re driving a four-cylinder except for maybe the higher-pitched sound. Fuel economy is naturally also very good and comes in at around 9.6 L/100 km. 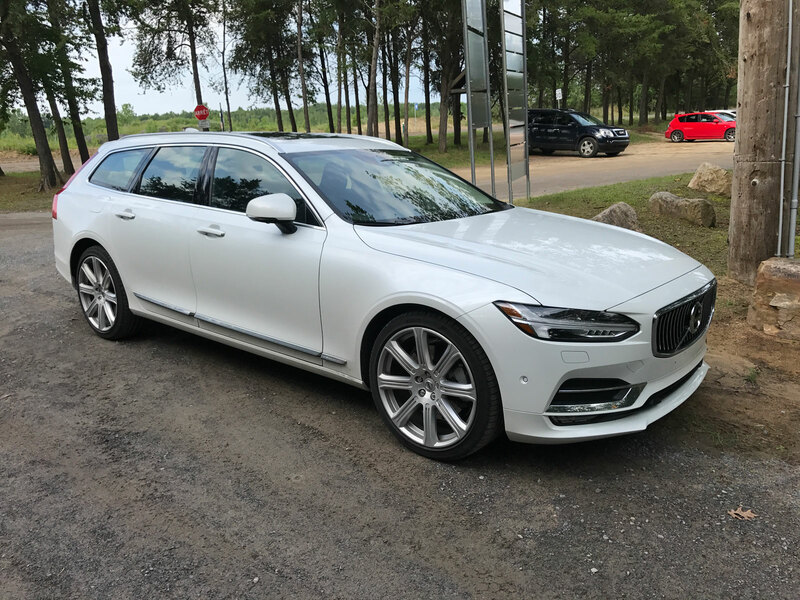 The V90 handles like a much smaller vehicle than it actually is. While nimble, it still glides over bumps to deliver a comforting and quiet ride. 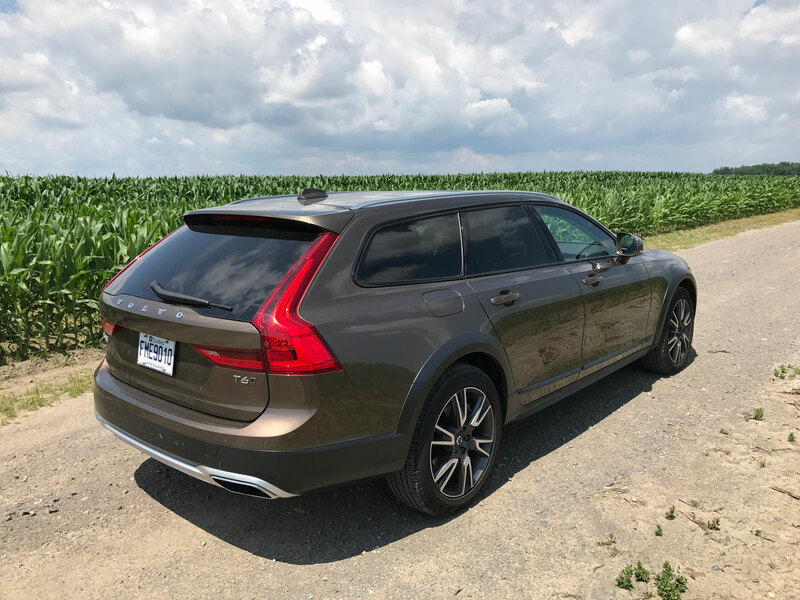 Combine everything with Volvo’s standard all-wheel drive system, it makes for a very enjoyable package of fun. 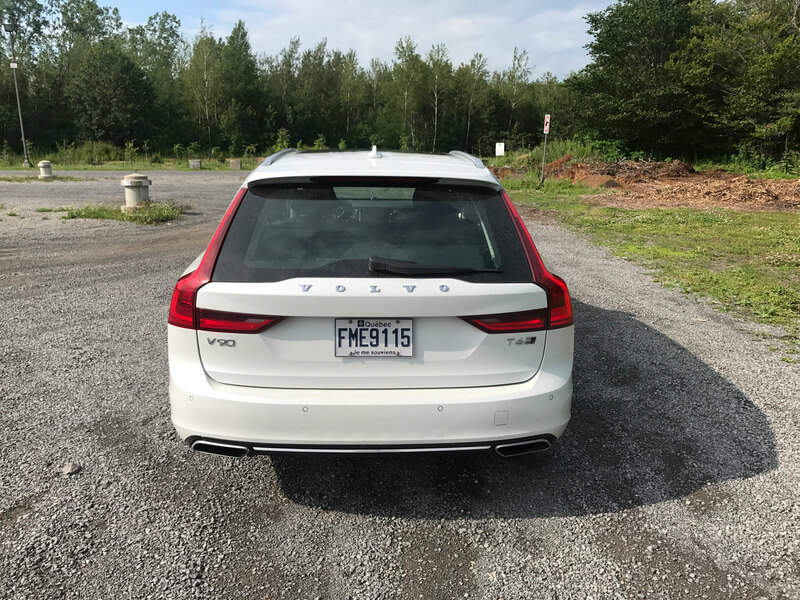 XC stands for Cross Country and exists in case you felt the need to take your V90 into the wilderness. 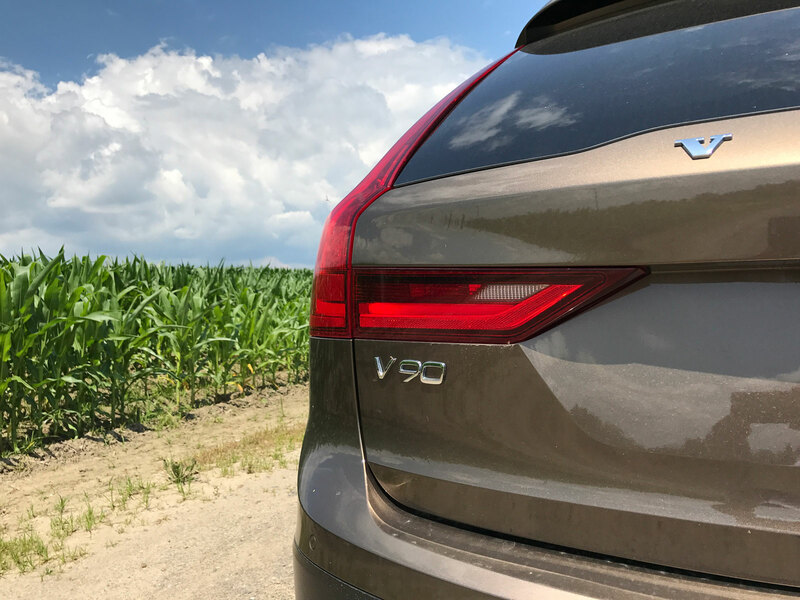 The main difference is the greater ground clearance – The V90 has 6 inches and the Cross Country has 8.3. 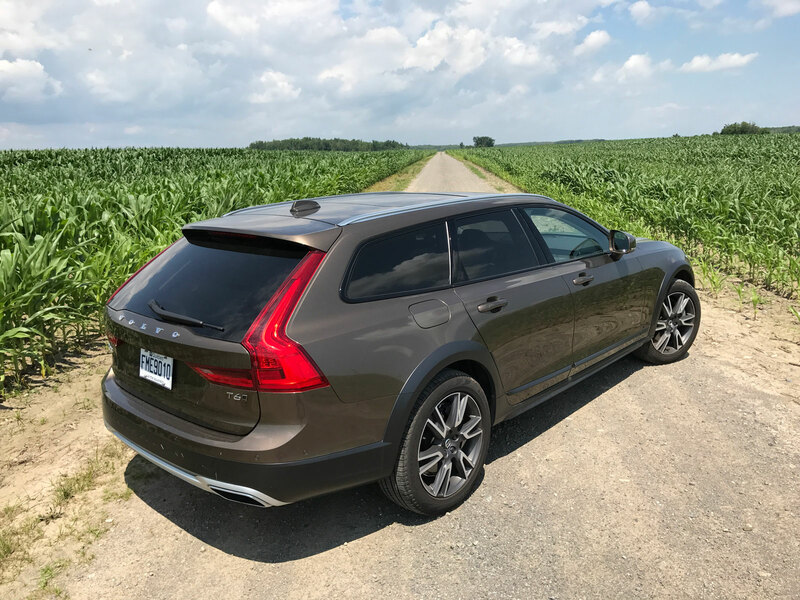 It makes for a noticeably taller and more beefy look to the wagon. 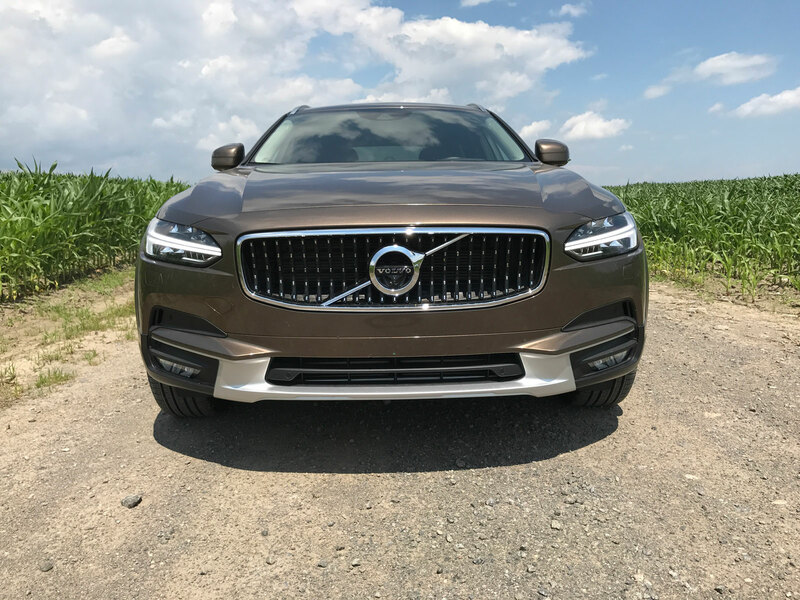 The Cross Country also has metal stud grille, versus the waterfall grille on the V90. Other options include hill descent control and an off-road driving mode. 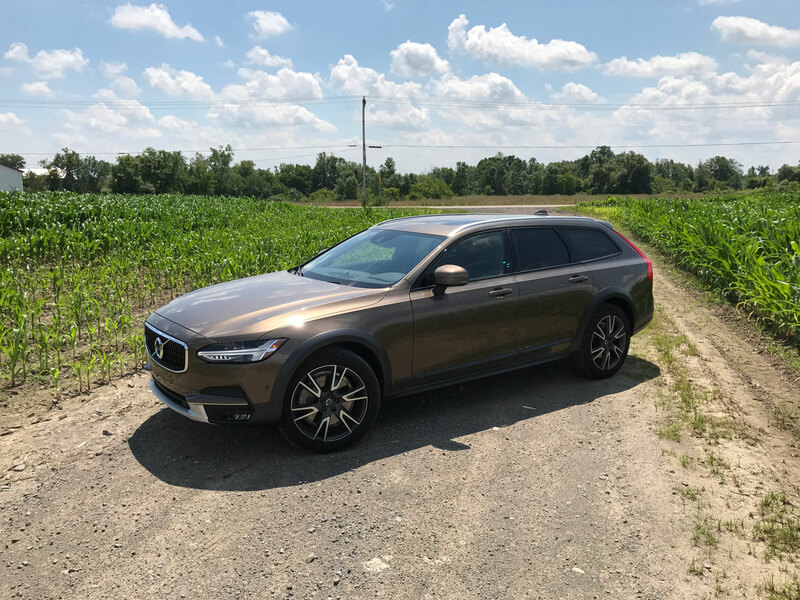 Other than that, the Cross Country is a carbon copy of the V90. 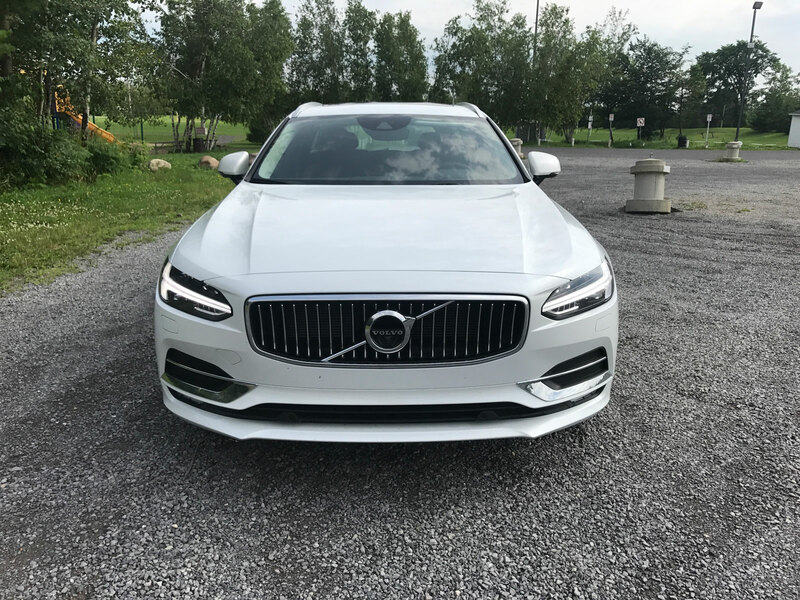 Starting at $59,900 and $61,900 respectively, the V90 and V90 XC are very reasonably priced alternatives to luxury vehicles such as the Mercedes-Benz E-Class, BMW 5 Series and Audi A6, none of which are offered in wagon form to Canadians at this time. 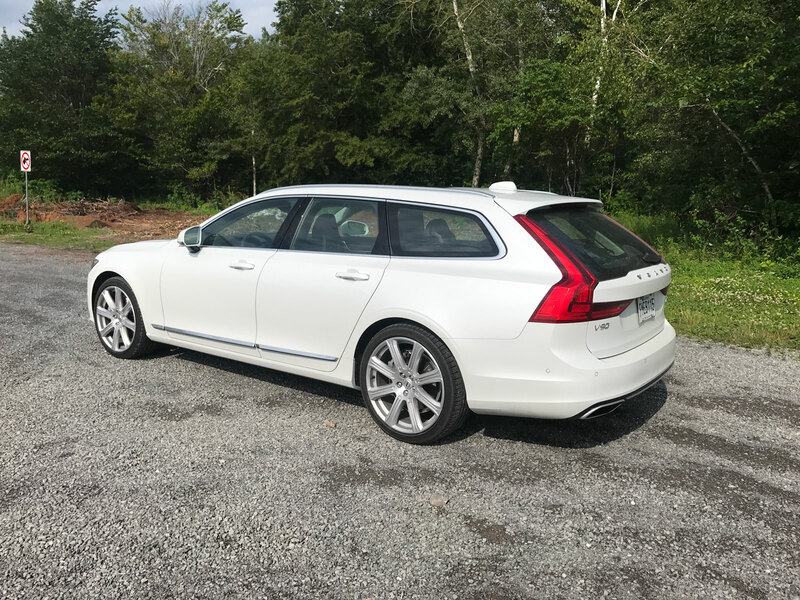 It seems Volvo is betting on the wagon making a comeback. 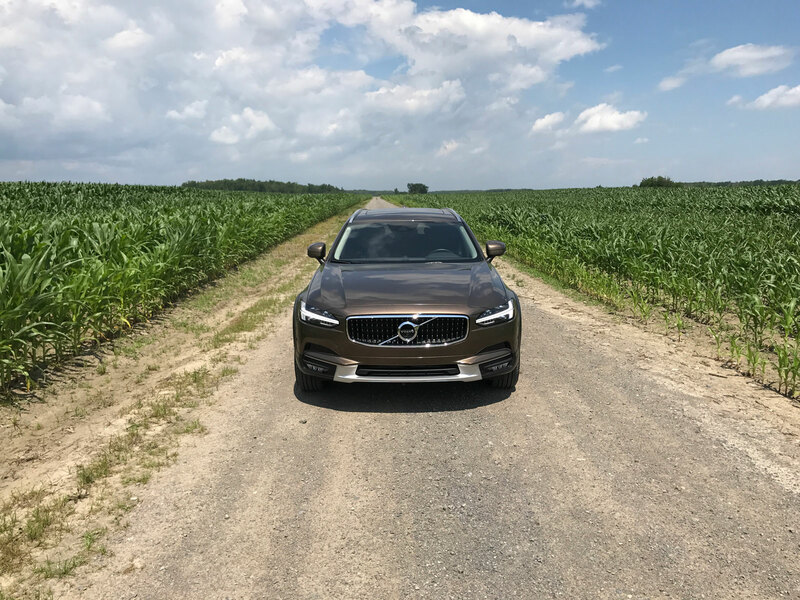 The V90 might just be good enough to start the trend all on its own. 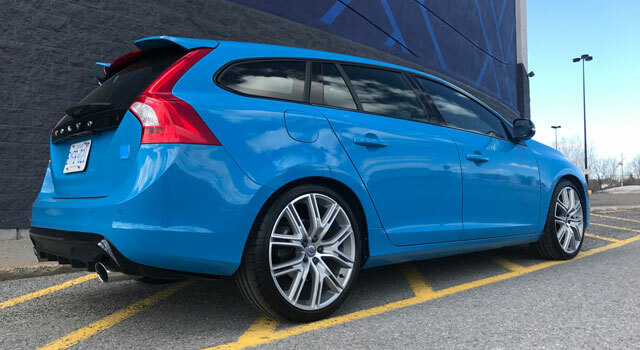 2017 Volvo V60 Polestar: A Modern Day Buick Grand National?